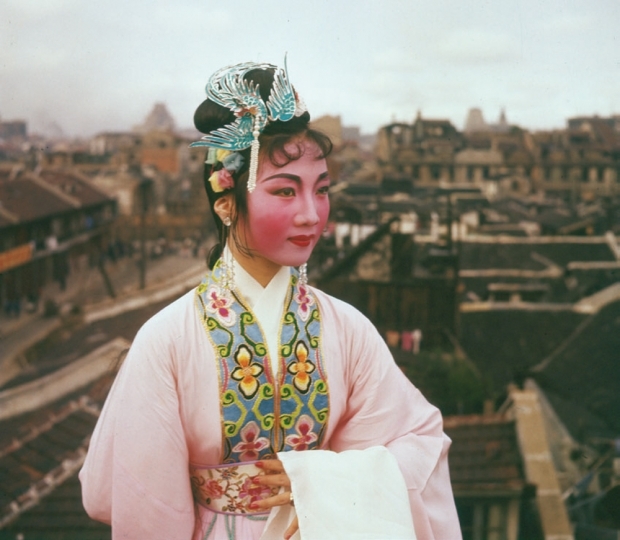 Leap Editor's Note: In 1957, the filmmaker Agnès Varda assumed the role of photographer during a two-month journey around both urban and rural China with a delegation of French dignitaries. In 2012, her photographs from that trip appeared in “The Beaches of Agnès Varda in China,” an exhibition at the China Central Academy of Fine Arts. Varda wrote this text, which accompanied the publication of her images in LEAP magazine’s April issue, shortly before traveling to Beijing for the exhibit. In 1957, the People’s Republic of China was not yet recognized by the United Nations, and was closed to most foreigners. I felt very honored to be part of the French group invited to bring their experiences from different backgrounds to the young People’s Republic. I was determined to do the best job possible as a photographer. There was so much to discover—everything. A very politically oriented program was organized for the group. When asked what I most wanted to see, what my preferences were for my visit, I said I was the photographer of a theater in France, our Théâtre National Populaire, so I wanted to see and capture the many forms of popular public entertainment: the little street circus, stick puppets, marionettes/thread puppets, traditional opera, opera sung by men only or by women only (such as the all-female “theater of cats” in Shanghai). I was impressed by everything: the collective behavior, everyone dressed in blue—both men and women—completely removed from any fashion dictate. There were millions of bikes and little children as beautiful as little cats. We went from the North to the South and traveled by boat from Chongqing to Shanghai down the huge Yangtze River. And, since another member of the group—a journalist—wanted to report on minority peoples of China, we also went to Yunnan province. There was a lot of activity, so much going on. I went from surprise to surprise. Not to mention the food—very varied from one place to another. In Sichuan province, for instance, I could not eat a thing, it was so spicy! It was two months of discovery in the cities and in the countryside. I didn’t think of making a film. I didn’t even bring a 16 mm camera with me. I brought a lot of photographic materials, a Rolleiflex, a Leica M3, lots of lenses, and many rolls of film. I had in mind to bring back a rich harvest of images. Since video cameras appeared, I have been able to film my travels as well as to take photographs. Depending upon what I feel like doing, I choose to be either photographer, filmmaker, or visual artist. It is like wearing three caps, working with three sets of tools, or growing three gardens. I have visited many countries, including Communist countries. Russia, China, and Cuba were full of surprises, and often difficult to comprehend. As I speak Spanish, I was able to get closer to people and things in Cuba. My China photographs are not known in France. Two famous photographers—[Henri] Cartier-Bresson and [Marc] Riboud—were also in China at the same time as I was. They produced books and had photos on the covers of magazines. I was unknown at that time, so I did not. I’m very excited to have the Chinese people discover in 2012 my images of China as it was in 1957. I wanted to create a structure on which to show my photos to avoid simply having images lined up on the walls of the museum. I made the model for a portico using little pieces of wood that were part of a kit made for children and wooden clothes pins. I made it look Chinese and painted it red not only because I love the color red but also because Communist countries are related to red—we remember Mao Zedong’s Little Red Book—and I know that red has many other important meanings in Chinese culture. This little “pagoda” model has been enlarged into a really big pavilion in the center of the huge entrance hall of the Central Academy of Fine Arts Museum. Red is a joyful color, a welcoming treat, I hope. I knew very little about China in the 1950s; I know more now but still very little. There are lots of articles in the press about the “new China,” television programs, commentaries, and for me especially, films of recent Chinese filmmakers. I look forward to meeting some of them during my visit. Compared to the 1950s—and because this time I come as an artist with exhibitions and screenings—I will be able to have richer meetings and exchanges of ideas. In our chaotic world full of disasters, hate and suffering, it helps me to believe that cultural exchange is good for everyone. Art is a wind we need to feel blow.